BRISTOL – Dr. Bill Messerschmidt, a cardiothoracic surgeon with the Wellmont CVA Heart Institute, was recently awarded the Paul Harris Fellow award by the Bristol Virginia-Tennessee Rotary Club. Each year, the club has a long-standing tradition of recognizing two Paul Harris Fellows in memory of the lives and works of Dr. Kermit Lowry Sr. and Dr. Kermit Lowry Jr., both past club presidents. The Paul Harris Fellow honorees are hand-selected by a committee and given each year to two people it believes have made outstanding contributions to the community and exuded Rotary’s motto of “Service Above Self” in their personal and work lives. Dr. Claude Crockett, a retired physician who practiced at Bristol Regional Medical Center, presented Dr. Messerschmidt with the award at the club’s annual banquet. He highlighted the surgeon’s integrity and his exceptional contributions to the region’s high-quality cardiovascular care. 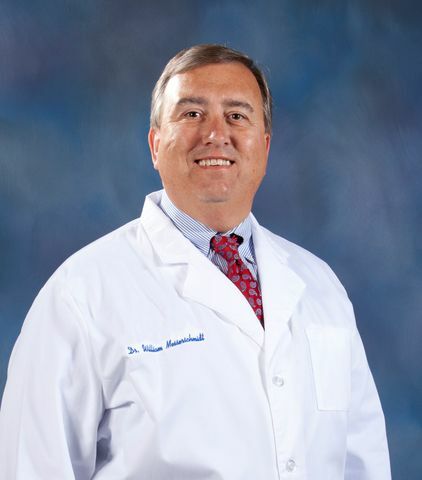 R. David Crockett Sr., a member of the Bristol Regional, Wellmont Health System and the Bristol Rotary Club boards of directors, was a member of the committee that selected Dr. Messerschmidt. A former president of the Bristol Regional medical staff, Dr. Messerschmidt is a leader in developing innovative ways to provide the best care possible for his patients. For years, he and other heart institute physicians have been at the forefront in the region of performing beating-heart bypass surgery, which carries multiple health benefits. He has also extensively used da Vinci Surgical System to perform a number of procedures, including removal of the mammary artery inside the chest for use in coronary artery bypass surgeries and a single-vessel bypass without splitting the breast bone. He also uses this piece of medical equipment to perform lobectomies on lung cancer patients. The Bristol Virginia-Tennessee Rotary Club was organized in 1917. The club is committed to volunteering and serving its local community. For more information about the club, please visit www.bristolvatnrotary.org. Further information about Dr. Messerschmidt is available at www.wellmont.org. Download photo of Dr. Messerschmidt.